From Manchester, take Route 11/30 to Richville Road. Follow Richville Road south and go one house past Old Airport Road. Turn left onto Clyde Way and follow the gravel road to the end. Take Route 7A north 3 miles, past the Chanticleer Restaurant. Turn right onto Tennis Way. Follow Tennis Way around until you pass the old brown UPS building. Rt 7A north past the Chanticleer Restaurant and then turn right onto Tennis way. After you cross the rail road tracks, make an immediate right into the driveway! 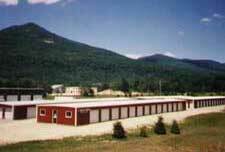 One self storage building at this location has 8' high door openings. All of our buildings have vapor barriers under a 4" cement floor, insulated roofs and metal interior walls that go to within 8 inches of the roof, to allow for air flow. Proper preparation is vital to successful long-term storage. We recommend plastic storage bins. Upholstered furniture should be wrapped for best results. Most movers can prepare your furniture for storage. Art work that is to be stored for long periods (over two months) should be wrapped and prepared for storage by your mover or an art gallery. 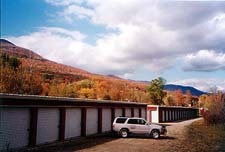 Vehicle storage is available for a car, motorcycle, or snowmobile. Please inquire about rates. We provide a FREE Lock when you rent a space. When you move out, please return the lock and both keys. 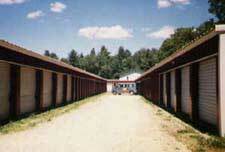 If you need a moving company, we recommend Manchester Movers at 802-362-2163. You may also call Eric Hill at 802-362-3055 or Dave Vonachen at 802-558-6686 if you need help with moving. and your call will be returned within minutes during office hours! You may drop off U-Haul equipment after office hours. Follow the instructions posted on office door.